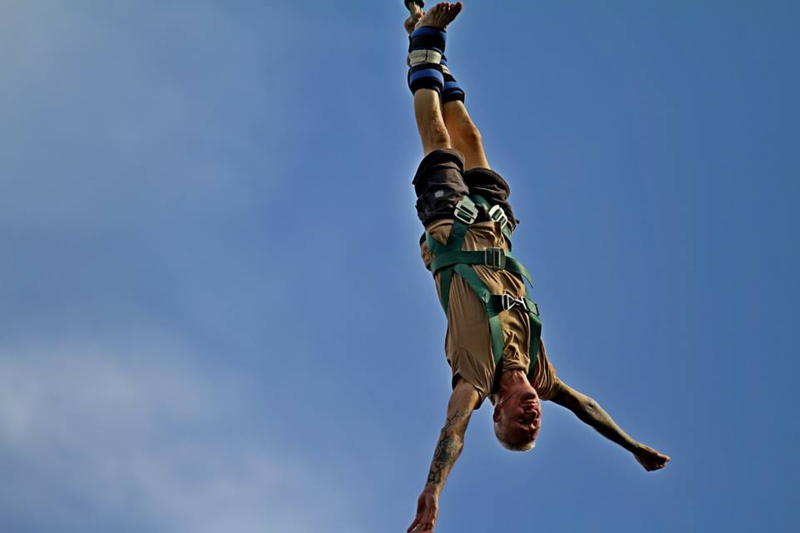 Get your adrenaline pumping with an exciting bungee jump in Pattaya. The trip begins as you're picked up from your hotel and taken to the jump site. Here, as you're taken to a height of 200 feet for your jump, you'll feel your heart beat rising in anticipation. From the top, you'll admire a panoramic view of the sun-kissed ocean at Pattaya. Before long, you'll suit up with the safety harness, count till three, and take the craziest jump of your life. The jump begins with a freefall towards the ground, until the cord on your harness stretches to suspend you in mid-air and then propels you back towards the sky. The jump site at Pattaya is located on the Threppassit Road, near the Sanook Park. The jump site hosts the tallest bungee crane in Thailand, going up to an altitude of 200 feet. From the top, you can get amazing views of the city of Pattaya and the Gulf of Thailand. Apart from bungee jumping, you can also try your hand at several other adventures on offer at the jump site like the quad-bike ATV ride or the Human Slingshot. • Jump from a height of 200 feet at the tallest bungee jump in Thailand. • Do a bungee jump at a jump site with the highest standards of safety. 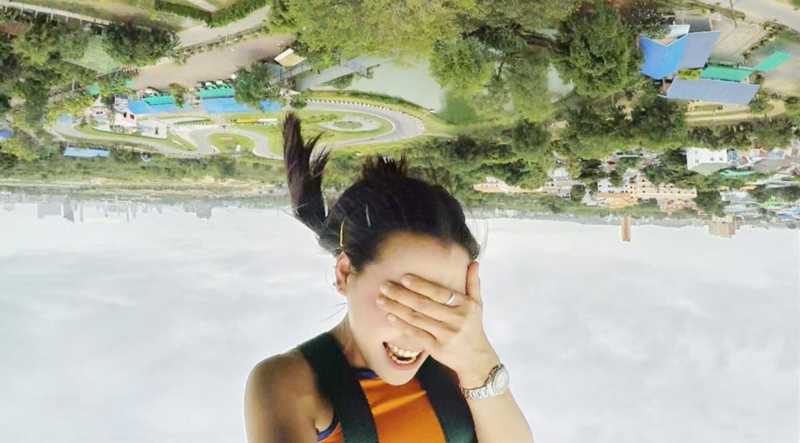 • Get a free HD video of your bungee jump taken from multiple angles. • Earn bragging rights with a certificate of courage issued after the jump. Hotel pick-up and drop-off is included in this package, only if your hotel is located in Pattaya or Jomtien. Accordingly, please inform the tour operator regarding the address of your hotel a week prior to your scheduled bungee jump in Pattaya. Travellers are required to weigh a minimum of 35 kgs and a maximum of 150 kgs in order to book this bungee jump in Pattaya. If you're going for a tandem bungee jump with another traveller, the combined weight should not exceed 150 kgs. Travellers are required to follow instructions of the adventure guide during the bungee jump in Pattaya. For cancellations made 7 days or more before the scheduled Pattaya bungee jump: 100% refund. For cancellations made between 3-6 days before the scheduled Pattaya bungee jump: 50% refund. For cancellations made less than 3 days before the scheduled Pattaya bungee jump: no refund. For forced cancellations of the Pattaya bungee jump due to adverse weather or wind conditions: you can select an alternative, available time-slot or receive 100% refund. All refunds will be processed after deducting international payment transfer fees. Please check with us what these charges will be for this Pattaya bungee jump. If you have companions that are not participating in the activity, an additional charge of 100 baht is applicable for the transport services. If you prefer to travel to the jump site by yourself, please arrange to arrive at the jump site between 09:00-18:00 hrs. Travellers can also request a water touch or backwards bungee at the jump site for an added touch of adventure. The tour operator takes utmost care to ensure safety of the travellers and shall not be held responsible for any mishap, accident or loss of life during the bungee jump in Pattaya. 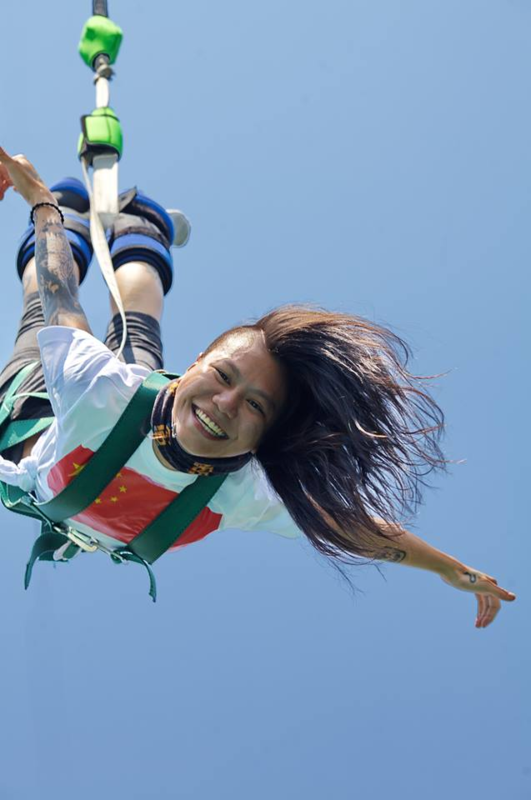 The tour operator reserves the right to cancel or alter the itinerary of the bungee jump in Pattaya depending upon the weather conditions and other factors. If extra costs are incurred due to changes in the itinerary, they will be borne by the traveller. Go bungee jumping in Pattaya! If you're staying at a hotel in Pattaya or Jomtien, you can be picked up in a shared mini-van or similar vehicle on three time slots - 10:00, 12:00 or 14:00 hrs. Once you arrive at the jump site, you'll have a quick briefing session with an adventure guide who will explain the entire jump process. Once you are ready to jump, you'll get inside a cage as it vertically lifts you to a height of 197 feet on the crane. You'll attach yourself to all the necessary safety belts and harnesses, count to three and then take the plunge from the crane. After the jump, you can relax at the jump site. Once you are ready to leave, you'll be dropped back to your hotel in Pattaya or Jomtien. Your trip ends here. Jump from a height of 200 feet on this bungee jump in Pattaya! All equipment required for bungee jumping: safety harness, bungee crane etc. The tour operator will arrange for a pick-up from your hotel in Pattaya city. Pattaya is well-connected to most major cities of the world via flights to the U-Tapao Rayong Pattaya International Airport, located 1-hr drive from the city of Pattaya. You may board a flight to the airport and travel to your hotel in Pattaya via hired private cab/taxi. The tour operator will arrange your transport to the start point of the Pattaya bungee jump. However, if you wish to travel by yourself, the jump site is located on the Threppassit Road, located 10-min drive from the city of Pattaya.